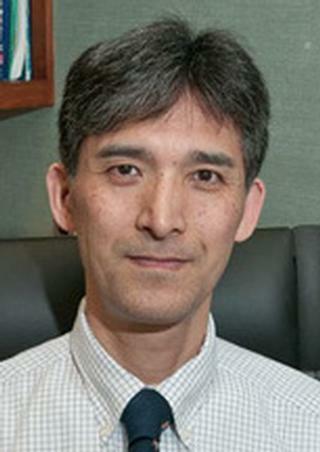 Dr. Miyamoto is a surgical pathologist with subspecialty expertise in urologic pathology. He is trained and has worked both as a urologist and as a pathologist. He has also been engaged in research mainly involving bladder and prostate cancers. Dr. Miyamoto's primary research interest includes molecular biology of steroid hormone receptors in genitourinary tumors. Specifically, he has been investigating the role of androgen receptor signals in the development and progression of bladder cancer. Epidemiological and clinical data indicate that men have a substantially higher risk of bladder cancer, and the underlying mechanisms of how androgens regulate bladder tumorigenesis and tumor outgrowth will offer explanations for this gender-specific difference in cancer incidence. He has also assessed the effects of new classes of androgen receptor antagonists on prostate cancer progression and has characterized novel androgen receptor co-regulators in prostate cancer cells. Yamamoto Y, Fujita K, Munari E, Uemura M, Miyamoto H, Netto GJ. "Clinical implication of the mammalian target of rapamycin pathway in upper tract urothelial carcinoma with negative GATA binding protein 3 expression." International journal of urology : official journal of the Japanese Urological Association.. 2019 Mar 10; Epub 2019 Mar 10. Mizushima T, Miyamoto H. "The Role of Androgen Receptor Signaling in Ovarian Cancer." Cells.. 2019 Feb 19; 8(2)Epub 2019 Feb 19. Ide H, Jiang G, Mizushima T, Fujita K, Inoue S, Yamaguchi S, Fushimi H, Nonomura N, Miyamoto H. "Forkhead box O1 as an indicator of prognosis is inactivated in urothelial carcinoma of the upper urinary tract." Oncology letters.. 2019 Jan 0; 17(1):482-487. Epub 2018 Sep 26.